We offer tours several times per week. Book yours now! 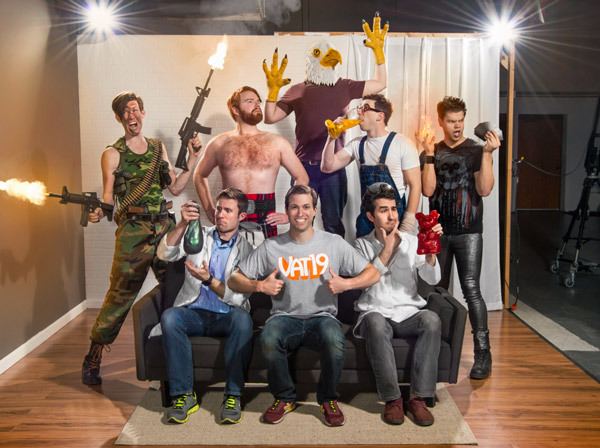 We're asked fairly often by our awesome fans if they can come and visit the Vat19 mothership. The answer is always "heck yeah!". We love visitors! We are located in Saint Louis, Missouri! * Our North American HQ is our only HQ. Because we're a small company, our tour is low-key, scheduled on a per-request basis, and frankly isn't much more than walking around the facility with a Vat19 team member for 45-60 minutes. You may meet some of the people who work here or it may just be Jamie, the evil owner (boo!). You will get to check out our studios, warehouse, and even see our infamous "gummy couch". Of course, you get what you pay for, right? We'd love to have you visit, but there's nothing "special" about the tour. No rides. No games. No roller coasters. Obviously, we're not Disney World, but we also don't charge a second mortgage for a ticket. So, we guess it's a fair trade-off? Every good tour has a gift shop, right? Well, ours is a 12,000 sq. 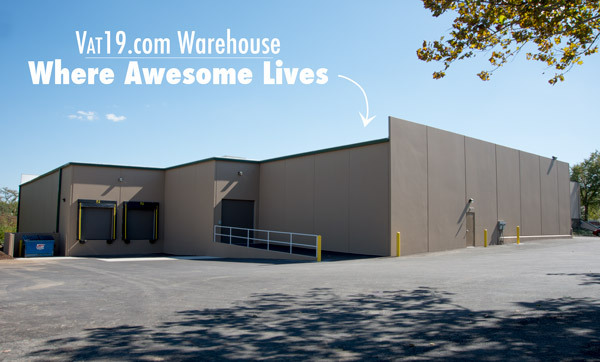 ft. warehouse full of curiously awesome gifts, toys, and candy! Plus, you don't have to pay for shipping. To request a tour of Vat19, please use our online booking system. We hope to meet you in person one day! Note: The tour is exponentially more interesting if you've watched a lot of our videos. Can't make it to lovely St. Louis, Missouri to visit us in person? Then check out the video below of a Live Tour we conducted in 2016.